Getting quality traffic to your site can prove to be a daunting task. When you do some of the things right, you will get increased traffic levels to your website. 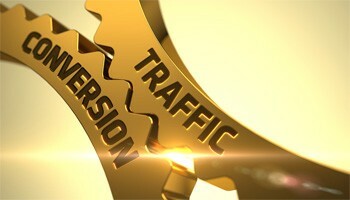 When you achieve your traffic goals, you will be faced with another problem, and this is converting your traffic into buyers, and this will require you to make your business look legitimate. In this post, we will share with you quality information that will assist convert your traffic into sales. Getting the little things right should be the first step towards achieving your goals. People’s attention span on the internet is low, and your website should not take over two minutes to load, or people will go back and not visit your site. Get a professional to optimise your site if it’s taking too much time to load or make use of a lighter theme. Something else that might generate more leads to your site will be including a contact number to your site’s page or have an opt-in form on your homepage. You can also have videos that will capture your visitor’s attention. Many people do not take social media seriously, but it has the power to change traffic into sales. People will click on a link leading to your website to make a purchase. When you are on social media, experiment on ways that can lead to bringing you more traffic to your business. One thing that will attract visitors who are serious about buying from your business will be giving them gifts that will automatically give you sales. You can choose to give a product you are selling on a purchase of a certain amount or product, give discounts, hampers or vouchers.